If you travel by train across India, you begin to look anew at the word “rail travel,” and revise your definition. Overworked tracks, dirty and dinged-up coaches, commuters clinging to open doorways, late trains and cancellations, and platforms clogged with hawkers, beggars and stalls: these are indelible images of the 165-year-old Indian Railways. The sprawling network has become emblematic of Indian government structures that are at once byzantine and inefficient. An analysis of available data show track failures and subsequent derailments are caused by excessive traffic and under-investment in rail infrastructure. Against this backdrop, the Ministry of Railways has roped in Google to bring free Wi-Fi services to 400 rail stations across India. Well, the government may argue that the Google has provided the services free of cost. But, is there any corporate house in the world which runs the business for charity. I’m sure the Google may have bigger things in mind. Or, they will charge fees for subsequent maintenance! 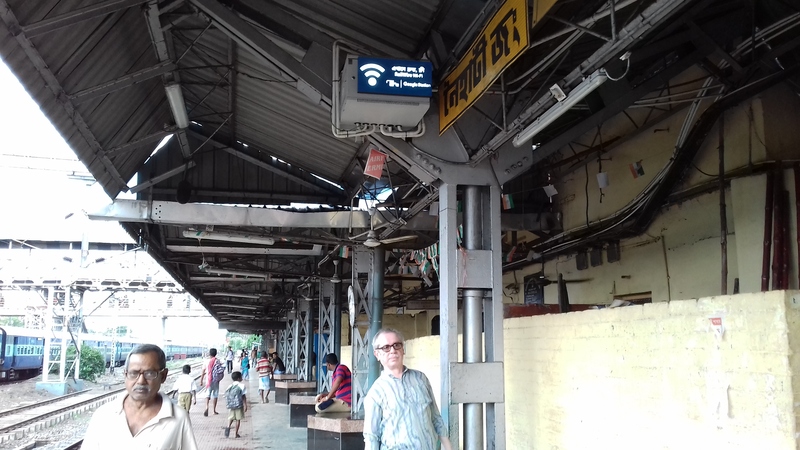 My question is does India need Wi-Fi at stations now? Is ‘Google station’ a priority when trains never run on time and daily commute is a nightmare; when overworked tracks make travel unsafe; when a 60-minute journey takes almost two hours and when ordinary passenger trains cannot average more than 25km an hour. 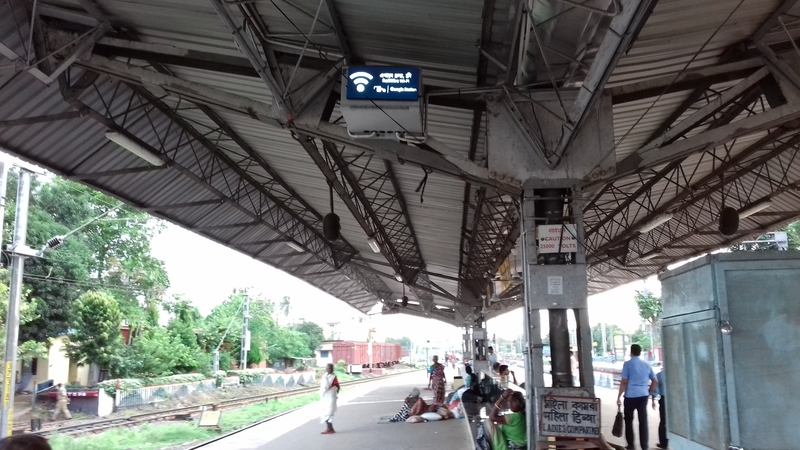 The idea of introducing free Wi-Fi at the stations across India is not just bizarre, it’s absolutely ridiculous. The government must focus on infrastructure upgrade like laying new tracks, repairing dilapidated rail lines, installing automatic signals, buying new coaches, ensuring commuters’ comfort and safety and timely running of trains. Are the guys in Railways Board aware of the ground reality? 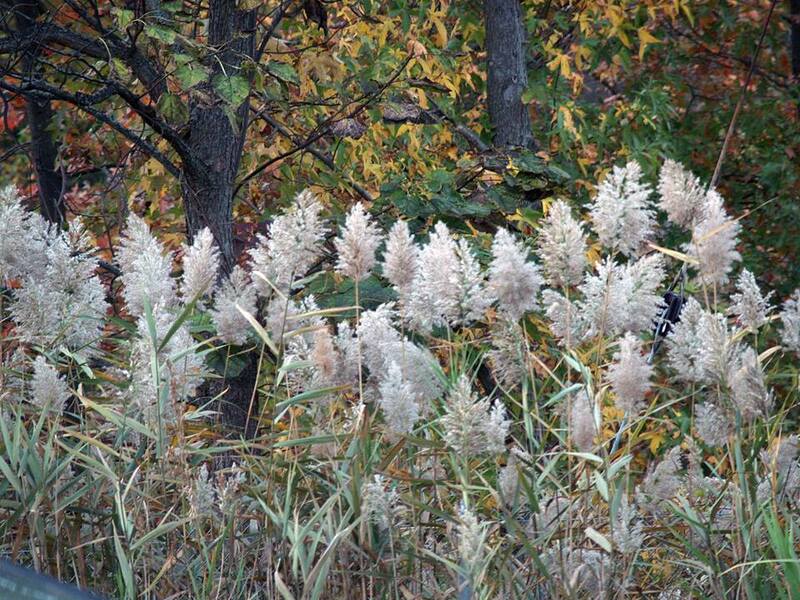 Have they ever experienced the travails of daily travel? Do they know that millions of commuters face unimaginable ordeal daily as they travel in coaches packed like sardines. If they have slightest empathy for the commuters, they wouldn’t have gone ahead with the ‘Google station’ project. I grew up in a suburb, 38km from Kolkata, and used to take train daily to reach my college. I know perfectly well the trauma and torment of a commuter. I remember when the train pulled into Sealdah station relatively on time ((well, that happened very rarely), I heard someone saying “Oh! Train ta darun elo!” (performance of the train was admirable!) The guy was elated as trains are perennially late and its on-time performance on that day took him by surprise. Dysfunction in Indian Railways is not a surprise. There has been a 56 per cent increase in the daily tally of passenger trains over 15 years from 8,500 in 2000-2001 to 13,313 in 2015-16. The number of freight trains increased by 59 per cent in the same period, but the running track length for all these trains increased by only 12 per cent in 15 years – from 81,865 km to 92,081 km. If one considers the period from 1950 to 2016, the under-investment in rail infrastructure appears all the more acute. Against 23 per cent railways’ route km expansion, passenger and freight traffic increased 1,344 per cent and 1,642 per cent respectively, the Standing Committee on Railways said in a December 2016 report on Safety and Security in Railways. Railways minister Suresh Prabhu has said part of the problem is seven decades of under-investment. Prime Minister Narendra Modi has said India must “take the railways forward, and through the railways, take the country forward.” The rail system should be “the backbone of our economic growth,” he added. However, the country needs to convert about 10,000 km of tracks just to have a uniform rail gauge. There are no timetables for freight cars—goods just show up when they get there—and four out of 10 lines run at 100 per cent or more of capacity. The rail ministry planned to spend Rs.1 trillion in 2015-16 budget with almost 42 per cent of that coming from the central government. Analysts who reviewed the accounts said the bookkeeping was so opaque as to be inscrutable. Mr Minister, please bring along your Railways Board members to Sealdah or Howrah stations in the morning and in the afternoon and see the veritable hell the commuters are thrown in. Please come and witness how long-distance trains are made to wait for 15 to 20 minutes to get signal at Howrah station in the morning. Whenever a long-distance train pulls into Howrah station in the morning (especially after 6am), they are made to wait near car-shed while local trains are given signal for departure. Why are the trains made to wait for so long to get signal? Imagine the sufferings of the passengers who have been on the trains for more than a day! I’ve been observing this since my childhood. I wonder why the Indian railways can’t solve the problem yet. For an estimated 9.2 lakh people, who commute to Kolkata from suburbs every day, travel is a nightmare. Well, the word ‘nightmare’ is an understatement. 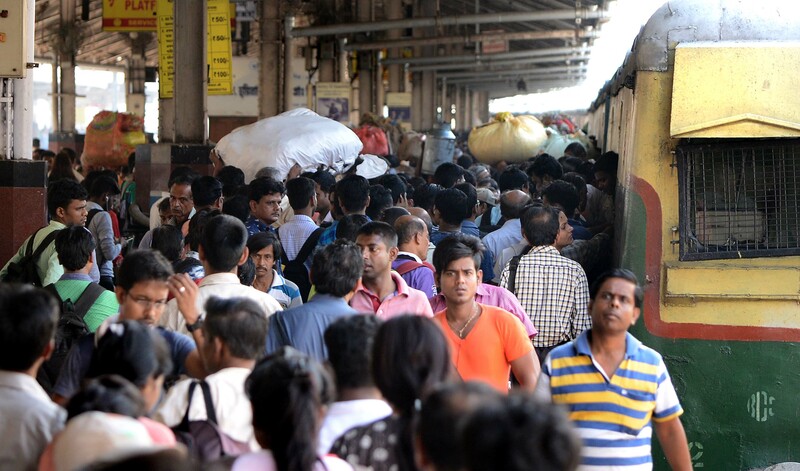 The Eastern Railways says Sealdah, one of the busiest rail stations in India, which will celebrate its sesquicentennial (150th year) next year, cannot be expanded to handle more than the existing 917 pairs of local trains that bring in people from the suburbs. 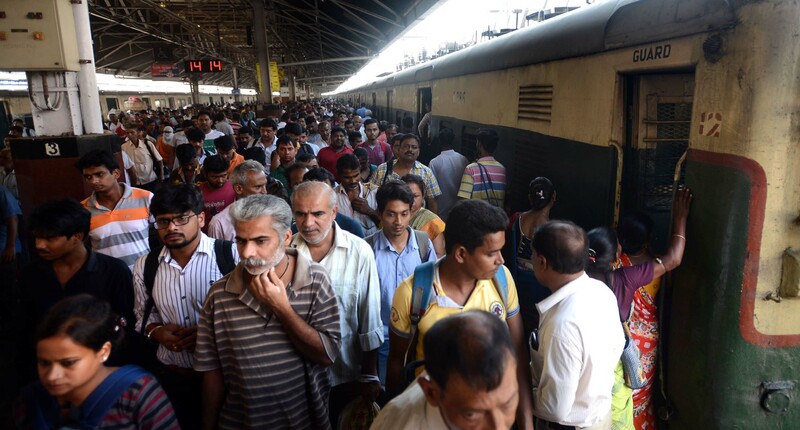 Moreover, about 80,000 people embark and disembark every day from long-distance trains that run through Sealdah. The ER authorities say the number of commuters who land in Kolkata by local trains every day, will cross the 10-lakh mark by 2020. The ER says capacity augmentation is impossible due to encroachment along the tracks. Meanwhile, successive regimes in West Bengal have not only turned a blind eye to the blatant and rampant encroachments, but also encouraged them as part of their vote banks politics. Mr Minister, do you know most of the footbridges at major rail stations across the country are without ramps and passengers face huge difficulties in carrying their luggage? It’s not difficult to set things right. Will you please look into such glaring mistakes? Sir, you’ve traveled abroad and seen how rail bridges are built. I’m sorry to say your civil engineers don’t even know the basics of building a bridge. A footbridge over Naihati rail station has been built recently. It’s just awful! Please come and take the stairs up the bridge. It’s so steep. I’m sure you’d puff and pant. Sir, please spare a thought for the millions of commuters and their daily ordeal. Instead of ‘Google station’, what is badly needed are more trains, improved tracks, increase of trains’ average speed, cleaner coaches, and timely running of trains. Are the guys in Railways Board listening?